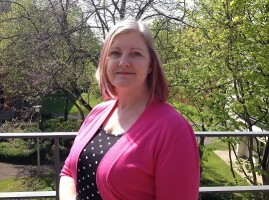 Currently Business Services Director of HECSU/Graduate Prospects, Jayne Rowley is responsible for the provision of a suite of shared services to the HE sector supporting the work of Higher Education Institutions in postgraduate study, careers, employability, degree verification and work experience. Prospects is becoming the first aggregator of postgraduate course data with the development and launch of Course Exchange. Funded and governed by HEFCE through Jisc, this will deliver national implementation of the XCRI-CAP British and European standard for course information, beginning with an approved postgraduate taught course vocabulary. Jayne co-facilitated a workshop session on “A Revolution in the Exchange of Courses Information: The national rollout of XCRI-CAP for Postgraduate course marketing information” from 16.00-17.30 on Monday 27 July 2015.